Roaming through Illinois! 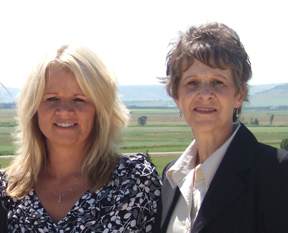 When we left Denise's, we decided to take the back roads of Minnesota, Wisconsin and Illinois. So for three days, we meandered east and south without mapping our route. 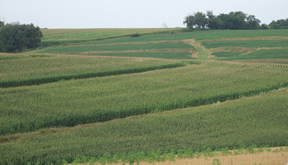 It is easy to see why this area is called the bread basket of America. It was beautiful. 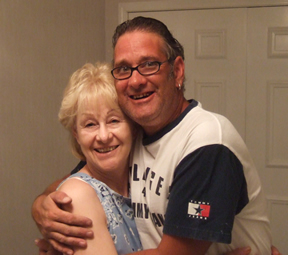 Let's not be strangers, so send us an update by clicking on the email link Larry and Glorine. 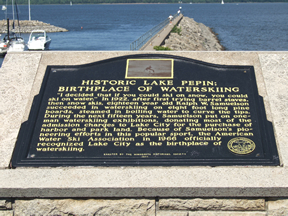 After doing some water skiing at Denise's, it was interesting to learn that water skiing was invented at Lake Pepin, which is part of the Mississippi River dividing Minnesota and Wisconsin. 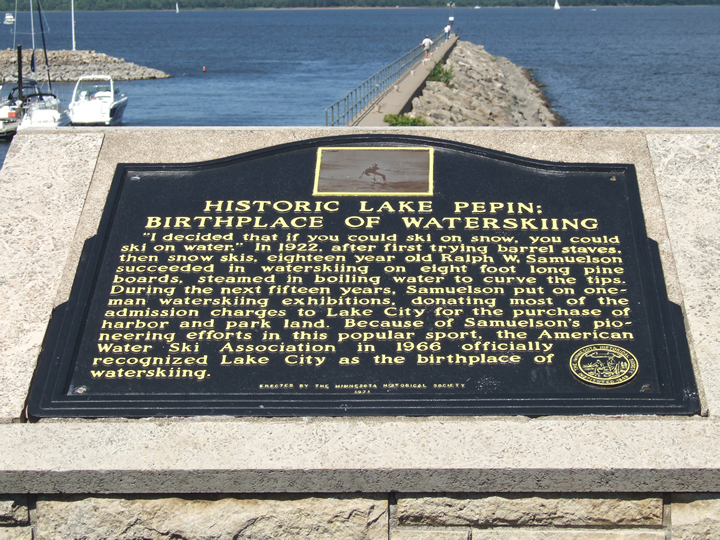 Our meandering took us along a 50 mile stretch of the Mississippi River. 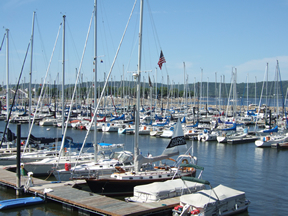 Yachts, sail boats, and massive barges lined the shore line. 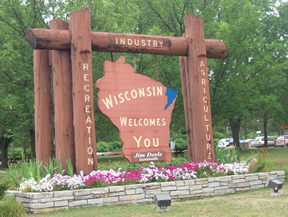 Wisconsin's county and township roads were among the most beautiful part of our journey, thus far. It felt like we went back in time about 30 years. 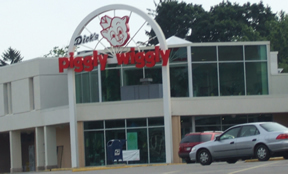 Anyone remember Piggly Wiggly?? 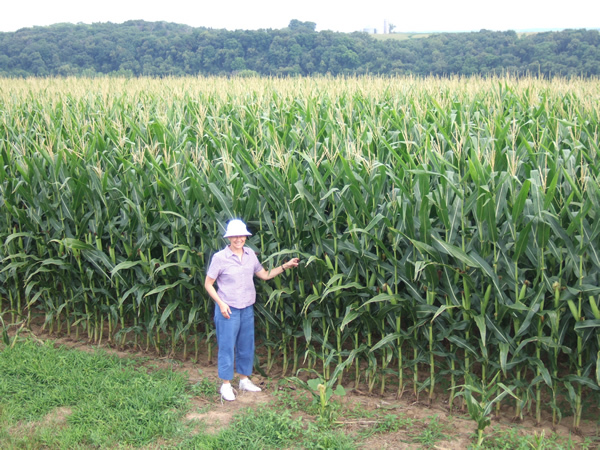 From the time we left the Twin Cities, until we got near Chicago, the roads were lined with small villages, corn fields and manicured farms. Here we drove through New Diggings, a town of about 400 people that attracted hundreds of people on motorcycles and pick up trucks. It was a lively happening. 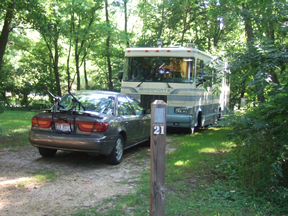 As we dropped into Illinois, we accidentally found a state campground. All but two sites were primitive and we got one of the two with full hook ups. 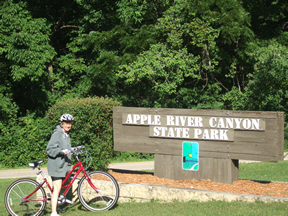 An early morning bike ride through this beautiful park was not an easy one, but memorable. 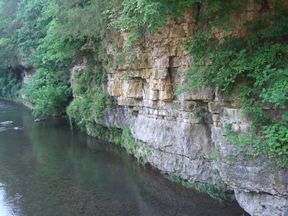 The park had miles of biking and hiking trails along side of a rare canyon carved out by thousands of years of erosion from the Apple River. Our destination to Illinois was to meet up with family. Here is Glorine and her sister Alvin. It was great catching up and reminiscing about the past. Alvina and her son, Dwayne. 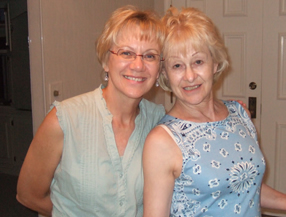 Our next stop was in Champaign/Urbana, Illinois to catch up with Luella and here daughter Karen. 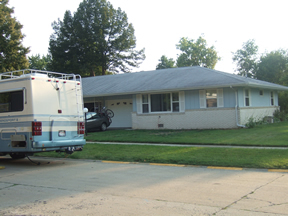 Our campground in Urbana was on the street next to Luella's duplex. This was the home of Teddy before he past away in mid June. 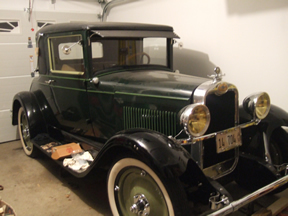 Inside the garage of this duplex sported Teddy's vintage 1929 Chevy. It will go onto the auction block--anyone interested?? 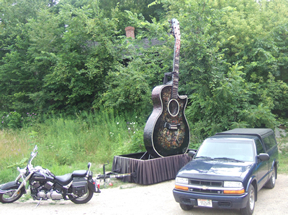 Arrived in Illinois on Monday, July 23 and left for Kentucky on Friday, July 27, 2007.